Tired of the same old nachos. 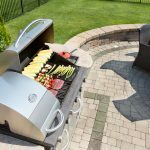 Take them outside and add some tasty ingredients fresh off the grill. 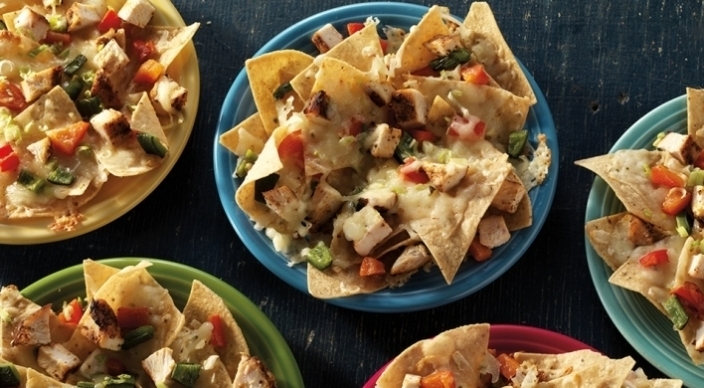 Gather around, grab some margaritas and enjoy Jersey Coast Chicken and Pepper Nachos! Mix the paste ingredients in a medium bowl. Add the chicken breasts and coat them evenly. Then transfer them to a plate and leave any remaining paste in the bowl. Allow the chicken breasts to marinate at room temperature for 20 to 30 minutes before grilling. 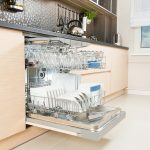 Brush the cooking grates clean. 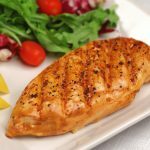 Grill the chicken breasts, smooth (skin) side down first, over direct medium heat, with the lid closed, until the meat is firm to the touch and opaque all the way to the center, approximately 8 to 12 minutes, turning once or twice. At the same time, grill the poblano and bell peppers over direct medium heat until tender, also about 8 to 12 minutes, turning occasionally. Remove from the grill and cut the chicken breasts into bite-sized pieces. Scrape away and discard the blackened skins from the peppers and cut the peppers into bite-sized pieces. Layer the tortilla chips, chicken pieces, peppers, cheese, and scallions on two large sheet pans lined with parchment paper. Place the sheet pans over indirect medium heat (you may need to cook the nachos in two batches), close the lid, and cook until the cheese is melted, 5 to 10 minutes. Remove from the grill, sprinkle with cilantro, and serve immediately. If you’ve chosen to use it, include the salsa and the sour cream when serving.